Listen folks, we don’t have to be as dull as wine folk. Their product is just old grape juice. They need to oversell. “Please, please drink Chardonnay when you’re eating a ham sandwich. We beg you” . It’s undignified. That’s not to say there is not a place for educating the ignorant. If people have not taken the time to try a few hundred teas, they may be unaware of the options for a nice tea to go with their filet mignon or bag of doughnuts. Even though in this case the ignorance is their fault, a little gentle coaching now and then is acceptable. So, as an example when kind-hearted people like @jopj offer a class so that the truly ignorant can better themselves by learning about pairing tea and chocolate, then I can be charitable. But for those of us who make, blend, write about, sell, review or serve tea, to pair tea with food is such a narrow thing. Tea is for pairing with LIFE ITSELF! I have previously remarked that the best pairing in the world is a cup of Lord Petersham and a new episode of Downton Abbey. This I wholeheartedly believe. And judging by an upswing is sales each time it comes on, I’ve managed to pull that off. So I could expend another 3,000,000 words giving you ideal tea pairings for everything from delivering sextuplets to learning Hungarian, from your first driving lesson to committing bank fraud. I could, and you know I could, and it’s probably making you nervous, so let me calm you down by saying I won’t. However, it seems I have a certain reputation for ranting, Who knows why, I’m usually pretty reasonable. It’s been ages since I’ve advocated setting fire to anything or anyone. Nevertheless, I am going to offer now a selection of rants, and a tea to go with them. Strap yourselves in! Why is the world suddenly being run by young people? Back in my day young people were basically half-formed semi-sentient creatures who barely got up by the crack of noon in time to fill the fridge with beer. Now they are heading soulless accounting firms, running on-line businesses selling unproven products and even standing for parliament. How can you stand for parliament if you have to be home by 10 pm weeknights and need to borrow $20 from Dad every day because your clapped-out car chews through the petrol? Young people should be wasting their lives at university earnestly discussing how they will fix the world, not poncing about in three piece suits with over-sized wristwatches or hanging about clubs wearing $2000 designer skirts from a ‘designer’ who just staples pipe cleaners together. There’s an undercurrent of bitterness and lost opportunity in that rant, so let’s counteract it with a nice, smooth mellow Mokalbari East or similar Assam. Look, that guy is smoking in public. Why is he smoking out here? Or at all? It’s the 21st century! Surely there are small coffin-like spaces we can shut smokers in endlessly recycling their smoke back at them ’til they die? Or apply a public beating at least. A lovely Lapsang Souchong is called for here, or a Russian Caravan if you’re chicken. Prove to the world that you can get a bit smokey without offending those around you. Set a dignified good example, and ignore the knocking sound, growing ever feebler, from the wooden box full of bound and gagged smokers in your basement. Why is this TV station showing the same commercial twice in the same break? Do they not realise how annoying that is? No wonder piracy is the new TV. What sort of idiots are they? Even if I ever want to buy a new car / sanitary product / loaf of bread / annuity / ear wax remover, I’ll buy one from a brand that hasn’t annoyed me in 30 second installments 57 times in one episode of SVU. You might think you need soothing, but I say NO!! Fan your rage with a highly caffeinated, over-steeped dark Keemun. 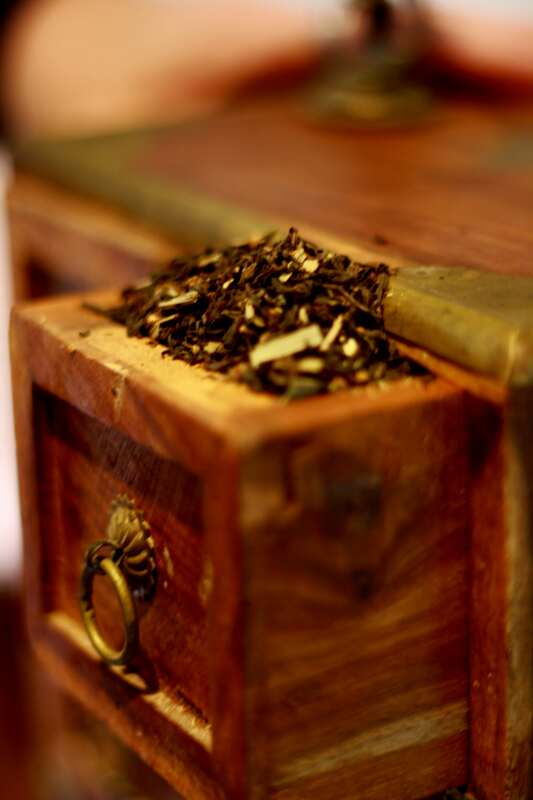 An extra minute takes these teas from being the perfect gentlemen in your cup to a snarling beast climbing the sides. Use it to fuel your righteous anger. Three cups and your living room will look like a hotel room that The Eagles have just left, circa 1979. I ordered tea. I didn’t order milk. And the milk I didn’t order isn’t on the side, it’s in the damn tea. What’s wrong with you people? What if I had stapled a live tarantula onto the fiver I just handed over? You didn’t ask for it, but hey, you got it. Now, that’s tricky, as you already have tea. The perfect answer here is to just ask for hot water, reach into your jacket pocket or handbag and pull out your emergency tea-sac full of good tea. I always carry Fleurs de Provence, as it has an aroma that people love and makes them jealous. But whatever you’re carrying, it’s bound to be better than whatever they have just served you. So, for your homework, I’m going to list five obvious opportunities to rant. Let me know your options for dealing with any or all of them. Medical receptionists who act like er, well, medical receptionists. Please share your thoughts in my comments. I plan to rant about those who don’t, accompanied by a nice silver needle.